It appears the Independent National Electoral Commission (INEC) has shunned the court order that asked it to recognize business mogul, Jimoh Ibrahim of the Senator Sheriff’s faction of the People’s Democratic Party as the authentic governorship candidate of the party ahead of the November governorship election. On the list, Akin Enoch Zerubabel Olowookere and his 72-year old running mate, Yahaya Ipinloju was listed. Similarly, the former legal adviser of PDP, Olusola Oke also lost out in the power tussle within the Alliance for Democracy (AD) as his name was missing in the list released by the electoral body. Oke who had last year pitched his tent with the All Progressives Congress (APC) came distance third in the governorship primary of the APC behind Oluwarotimi Akeredolu SAN and Tinubu’s loyalist, Dr Abraham, but had to abandon the progressives train again to pick the AD’s ticket. Though the state executive of the AD allegedly gave him the ticket the national working committee of AD rejected him, hence his failure to make the eventual final list of governorship candidates. The released list according to INEC is the final list of the candidates participating in the November 26 governorship election in Ondo State. On the list, Eyitayo Jegede (SAN) is seen as the flag-bearer for the People’s Democratic Party (PDP) and Rotimi Akeredolu as the candidate of the All Progressives Congress (APC). 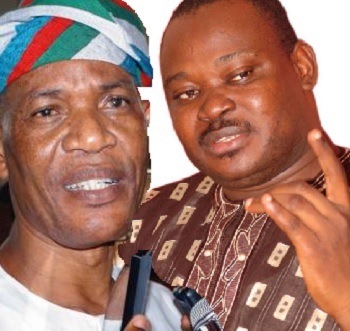 Conspicuously, the names of Jimoh Ibrahim and Olusola Oke were omitted from the final list released by the commission. It would be recalled that a Federal High Court had ordered INEC to recognize Ibrahim as the PDP candidate in the Ondo election.